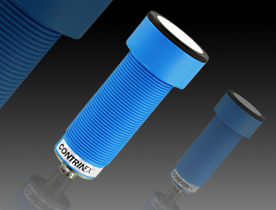 Contrinex ultrasonic sensors provide reliable, non-contact detection of solid,liquid, granular or powdered materials in air, tolerating precipitation, humidity, dust and fumes. Target materials may be colored, transparent, polished or matt; detection is practically independent of the target’s direction of travel. Diffuse-mode and reflex sensors emit bursts of high-frequency sound waves toward a target, measuring the time elapsed until an echo is received. They contain a transmitter and a receiver in a single housing. 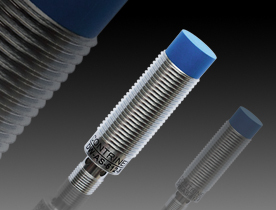 Ultrasonic sensors are compensated for temperature variation, but are unsuitable for use with very hot targets. 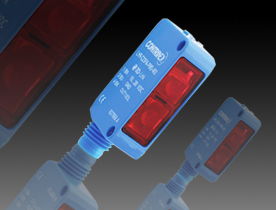 The technology is ideal for distance measurement and presence- or proximity-detection at moderate distances.